The Centers for Disease Control CDC says that Lyme disease is the fastest growing infectious disease in the US. Currently, nearly 300,000 cases are being reported annually, representing close to 34 new cases per hour. At this rate, Lyme cannot be ignored, so today we will share all that you should know about Lyme. Lyme is an infectious disease caused by tick bites. The tick becomes infected by the bacteria B. burgdorfeli, after being contaminated by sick deer, or mice. Most patients, do not remember being bitten by a tick, however, the tick needs to be present from a time range of 24-48 hours for it to be contagious. 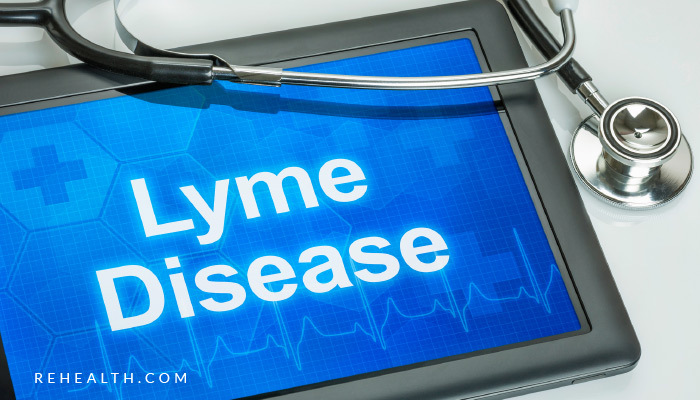 According to the Lyme Disease organization, close to 74% of patients experienced at least 1 symptom that they considered severe. The following list is considered as “The Lyme Checklist” and it helps patients determine whether or not they can be infected. Butterfly skin rash: Most of the lyme patients, or at least 70% of them, mention that they experienced some sort of skin rash as an initial symptom. Common cold symptoms like fever, neck pain, general fatigue, and chills. Gut issues such as lack of appetite and nauseas. Cognitive or mental challenges such as brain fog, headaches, and forgetfulness. Stage 1: The patient has been bitten recently (1 or 2 weeks after the bite) and they are experiencing early symptoms such as skin rash or skin bruises. The reason for this is that the bacteria is multiplying in the blood stream and is spreading around the affected area. Stage 2: During this phase the bacteria has spread through the body and the patient experiences cold-like symptoms like fever, sore throat, fatigue, headaches. Stage 3: This stage is where 90% of patients visit their Doctors. During phase 1 patients have a tendency to think that it is a simple rash, and on stage 2 they just treat it like a regular cold. Now in stage 3 the bacteria has spread through the body and it can not be ignored. Symptoms include headaches, joint pain, mental fog, forgetfulness, memory loss, heart beat alterations, and numbness in the limbs. Stem cell therapy has been found to be incredibly beneficial for Lyme patients in all stages. Stem cells modulate the immune system, causing Lyme symptoms to decrease dramatically, easing all sorts of pain, joint sufferings, and numbness. At a cerebral level, stem cells decrease inflammation, alleviating brain fog and neuro conditions. Patients experience side benefits such as increased energy and better gut condition. Stem cell therapy results are visible right after a month, starting with pain reduction, increased mobility, and overall health improvement. Lyme disease can lead to long-term complications when left untreated if you experience any of the symptoms listed above we highly encourage you to seek medical advice as soon as possible to prevent future complications. Take care of yourself!